There is a mid-Autumn festival coming up which is a national holiday in China from the 15th to the 18th of September this year. This festival is a kind of Harvest Festival celebrating the autumnal equinox when the Moon is at its fullest. Many Chinese people celebrate this holiday by eating traditional mooncakes. 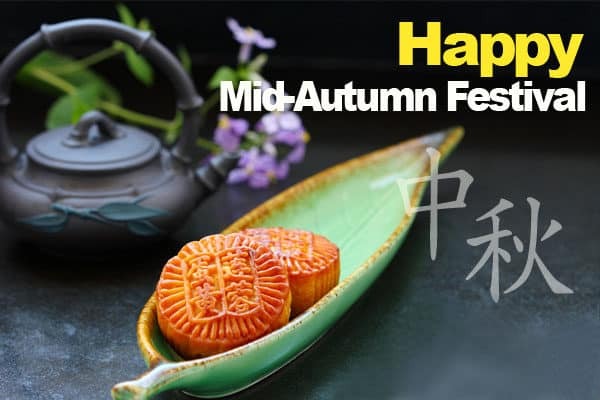 How does this Mid-Autumn Festival affect our business hours? These days are a National holiday for China, and so therefore production will stop completely. Make sure you take this mid-autumn festival into account when planning projects. In anticipation of this, remember to liaise with all production, offices and suppliers in China. China is country where the only holidays the people get are the public holidays, which means that Chinese People do leave everything on this day behind to celebrate the traditional way of this Mid-Autumn-Festival. If you are visiting China in this time, please practice yourself in patience in advance and be aware of crowded places and a lot of hectic in the streets. but not everything is bad in these days, street festivals and Chinese people just celebrating the national holiday. ODM will be working on the 15th of September but not on Friday, the 16th of September, we will be back in the office as usual on Monday the 19th of September.